Six of the area&apos;s trails are listed on the Great Florida Birding Trail, which boasts a myriad of birding opportunities you are sure to enjoy. If you are an enthusiast, you’ll be happy to know that you can find more than 200 species of birds here in the area. You’re sure to spot many Bald Eagles throughout Palm Coast; however, Princess Place Preserve is one park that is home to a nest. Ever-popular shorebirds can be found on our beaches and throughout our parks and preserves. If you’re looking for guidance, you’ll find it with the Flagler County Audubon Society. This organization is a great resource for beginning and experienced birders. So go grab a beginner’s book and some binoculars for a fun and educational outing with your family. Look to the sky and see if you can spot these species! The American Coot (Fulica americana) is a bird of the family Rallidae, which can be found in wetlands and near open water from southern Quebec to the Pacific Coast of North America, and as far south as the northern part of South America. 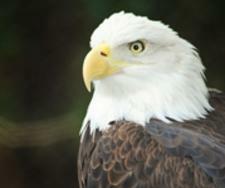 The Bald Eagle (Haliaeetu sleucocephalus) has long been a symbol of power, wisdom and beauty in the United States. Also known as the American Eagle, this majestic bird’s range includes most of Canada and Alaska, all of the contiguous United States, and northern Mexico. 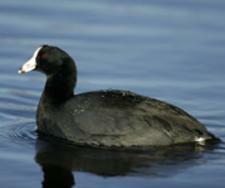 They can be found near large bodies of open water where there is an abundant food supply and tall trees for nesting. 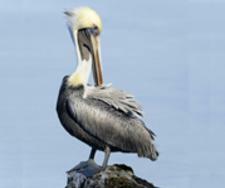 Despite weighing between 6 and 12 pounds with an average wingspan of 6 to 8 feet, the Brown Pelican (Pelecanus occidentalis) is the smallest of the eight species of pelican. 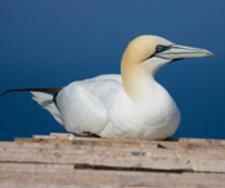 This bird is found along the ocean shores from North America down to northern Peru, typically nesting in colonies. With a diet of crustaceans, amphibians and fish, it is the only dark pelican and the only one that plunges from the air to catch its food. 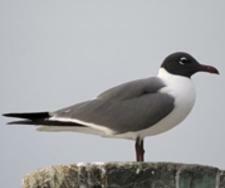 The Laughing Gull (Larus atricilla) is a medium-sized gull, which resides in North and South America. It breeds on the Atlantic Coast of North America, the Caribbean, and northern South America. Northernmost populations migrate further south in winter. 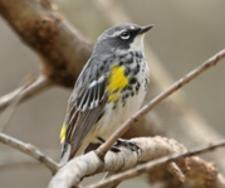 The Yellow-Rumped Warbler (Dendroica coronata) actually refers to four closely related Northern American bird —the eastern Myrtle Warbler, its western counterpart, Audubon's Warbler, the northwest Mexican Black-fronted Warbler and the Guatemalan Goldman's Warbler. This species breeds from eastern North America west to the Pacific, and southward into Western Mexico.